Do you want to fly to the top of the world? Do you want to stand next to the tallest mountains in the world without exerting yourself too much? Do you want to fly to the top of the world? Do you want to stand next to the tallest mountains in the world without exerting yourself too much? 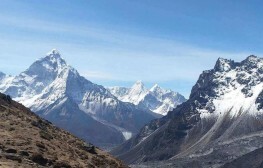 If you answer is affirmative to both these questions, then Everest Base camp Helicopter Tour is for you. 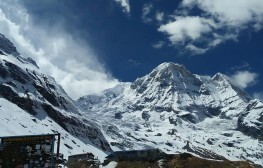 Hop on the helicopter with your friends and family and enjoy a fluid ride on top of the giant Himalayas. Your exciting journey begins from Tribhuvan International Airport. From the safe cabin of the helicopter, witness the land transform from deep valleys to snow-covered mountains and enjoy the phenomenon of nature as you glide past precipitous summits and the sky touching Mount Everest itself. Everest Heli flight allows you to experience the steeps without having to exhaust a muscle or the clock so it’s suitable for everyone. As the helicopter takes off from the international airport, we head due east towards Lukla which is also termed as the ‘Gateway to Everest’. After a transitory stop here, we will begin our journey again and this time you will be officially flying next to the mountains. It’s special because you will be flying next to just not any mountains but the highest and the most beautiful ones in the world. 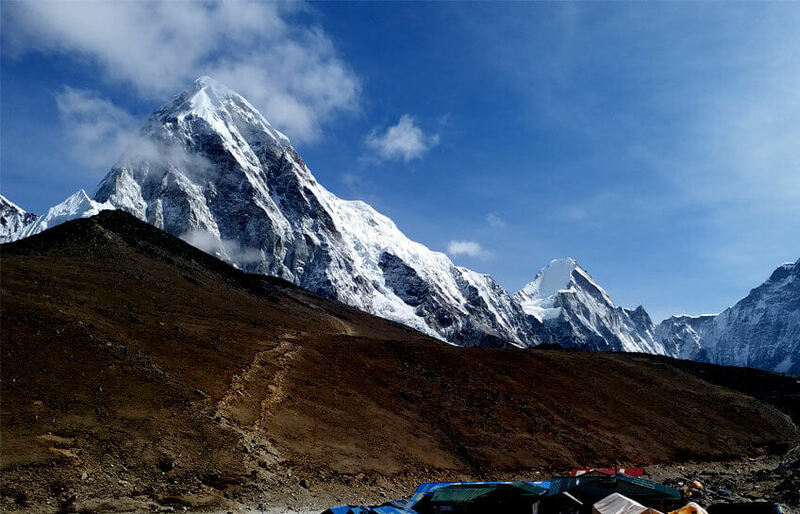 You will be spellbound as you cross small Sherpa towns like Namche and Tengboche and the views of Ama Dablam, Nuptse, Lhotse will engrave a deep sense of adventure in you. Not to forget, you will definitely feel lucky to be sitting in the helicopter when you will see the trail of people like ants crawling to reach the base camp. 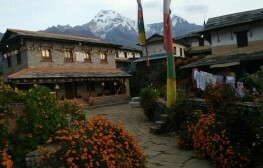 The excitement reaches the next level as you hover around the Everest Base camp (this is the place where all expedition to climb Mount Everest begins) and as you will see the giant mountains standing tall just next to your window. The best part of them all is, you will have a bird's eye view of the mountains. All the ridges, crevasses and even the snow melting off the mountain is crystal clear, a sight to behold. 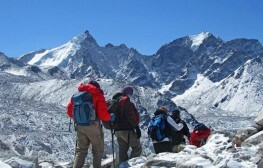 Soon we will land on top of Kala Patthar- the best place to view Everest in all her glory. After a short stop to take photographs and selfies, we say goodbye to the giants and head towards Sangboche. From Shyangboche we head back to Kathmandu. 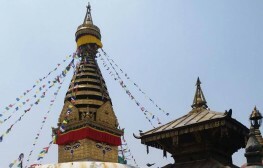 Everest Helicopter flight is an easy alternative to Everest trekking. This tour offers optimum security and ease of travel. Sit back and enjoy the summarized and ever secure views of the otherwise deadly Himalayas. We include stopovers at several beautiful places facilitated with good food and luxury services. Rise above the trekkers and unravel secluded places they can never reach! The up-close view of the tip of these mountains is as exciting as it gets, and the shimmering whiteness all around you will provoke the child inside you. Share your thoughts. Leave a comment below! 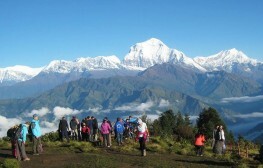 Planning an Everest Trek in Spring 2019? 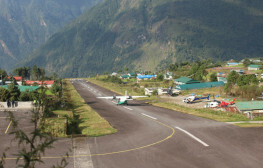 Here’s what you should know about Lukla Flights! 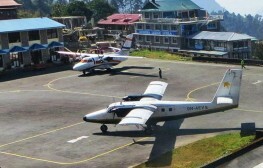 Ever been on the Kathmandu to Lukla Flight?